Imagine you, a member of the public, are driving about in your Mercedes-Benz 300SL Gullwing and minding your own business. As you do. Suddenly, while stopped at a light, the inattentive driver behind you taps the back of your car with his. 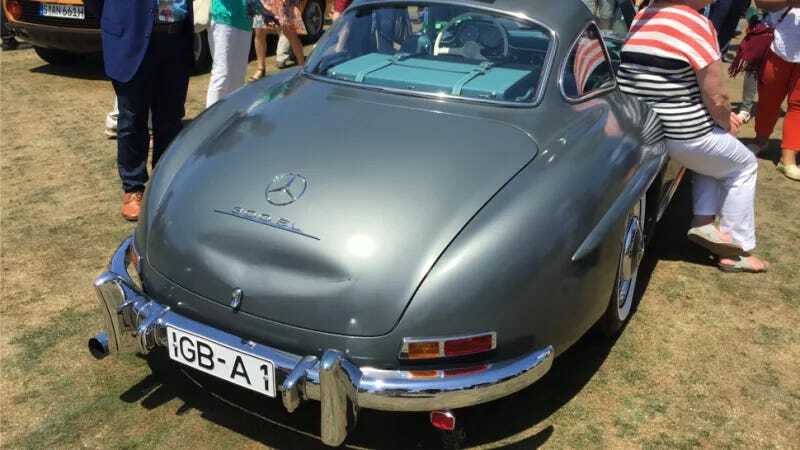 You would have become a murderer that day, but because Mercedes is now selling reproduced body panels for 300SL Gullwings, you don’t have to be. Mercedes pretty much saved that guy’s life. Using a combination of optimized 3D data from original panels and then pounded into shape using wooden mallets, Mercedes says via a press release that these new panels are highly accurate to the originals. And since only 1,400 Gullwings were built between 1954 and 1957, they’d better be. I noticed that a door panel is curiously missing from this list. What if I just wanted one (1) Gullwing? How much would that be? No answers could be found on the release. Sad.